This interdisciplinary volume introduces new theories and ideas on creativity from the perspectives of science and art. Featuring contributions from leading researchers, theorists and artists working in artificial intelligence, generative art, creative computing, music composition, and cybernetics, the book examines the relationship between computation and creativity from both analytic and practical perspectives. Each contributor describes innovative new ways creativity can be understood through, and inspired by, computers. The book tackles critical philosophical questions and discusses the major issues raised by computational creativity, including: whether a computer can exhibit creativity independently of its creator; what kinds of creativity are possible in light of our knowledge from computational simulation, artificial intelligence, evolutionary theory and information theory; and whether we can begin to automate the evaluation of aesthetics and creativity in silico. These important, often controversial questions are contextualised by current thinking in computational creative arts practice. Leading artistic practitioners discuss their approaches to working creatively with computational systems in a diverse array of media, including music, sound art, visual art, and interactivity. The volume also includes a comprehensive review of computational aesthetic evaluation and judgement research, alongside discussion and insights from pioneering artists working with computation as a creative medium over the last fifty years. A distinguishing feature of this volume is that it explains and grounds new theoretical ideas on creativity through practical applications and creative practice. 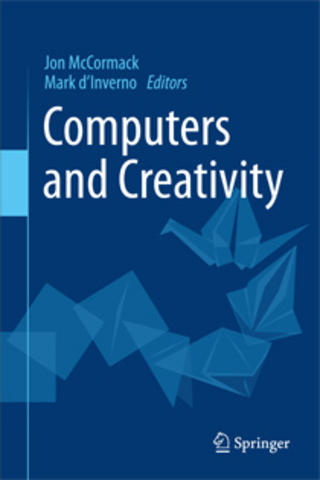 Computers and Creativity will appeal to theorists, researchers in artificial intelligence, generative and evolutionary computing, practicing artists and musicians, students and any reader generally interested in understanding how computers can impact upon creativity. It bridges concepts from computer science, psychology, neuroscience, visual art, music and philosophy in an accessible way, illustrating how computers are fundamentally changing what we can imagine and create, and how we might shape the creativity of the future.